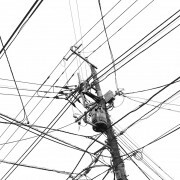 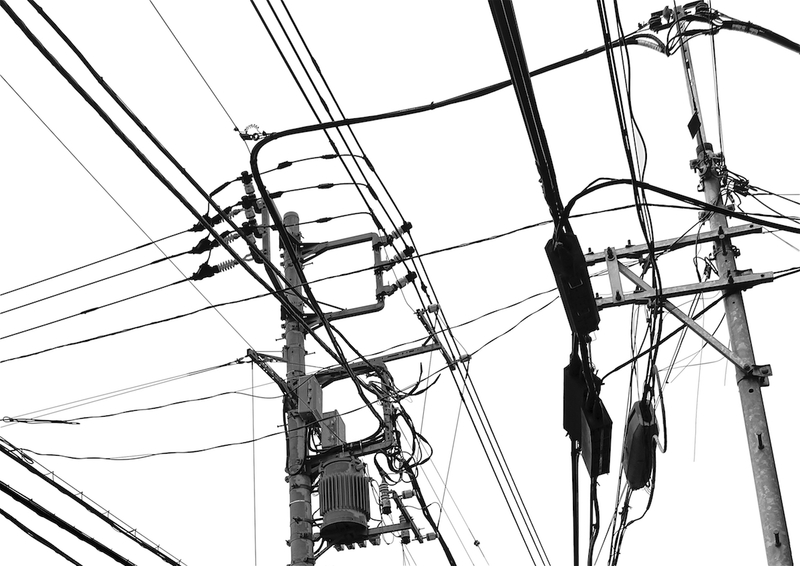 The archaic forms and cabling of the monumental electricity posts that carry a network of electricity, telephone and internet cabling across Tokyo, appear out of place in Japan’s technologically advanced society. 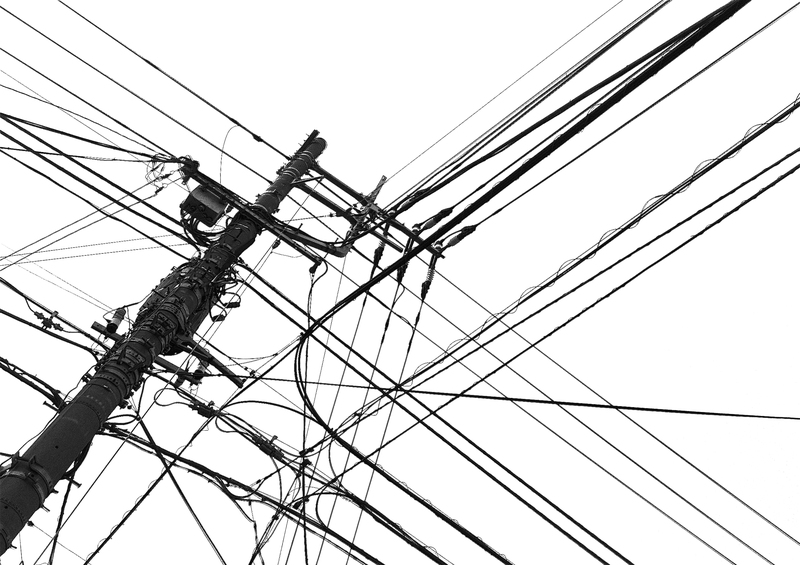 The large format inkjet images have a variation of lines and graphic language that appears to lie between photography and drawing. 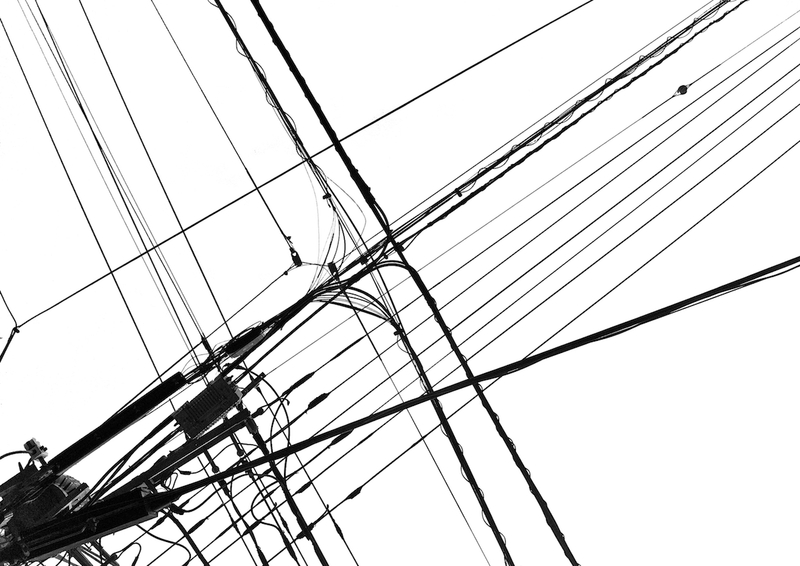 Wearing a head camera pointing skywards and switched to photography mode, the 24 digital images from A Walk Around the Block serve as an alternative mapping of the road beneath.